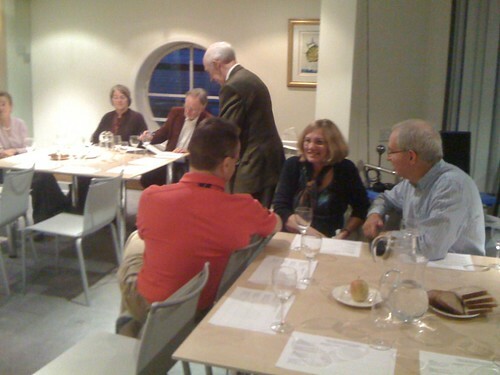 I have been going to the Charteris Wine Society tastings since 2005. Always interesting and entertaining and now sadly no more. 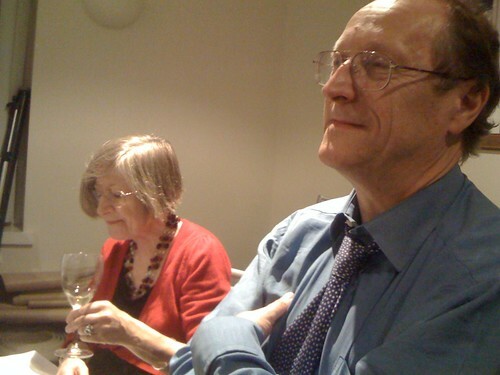 It is (was) a work based wine group and as people retired or left the company it has been harder and harder for the organisers to keep the tempo up. So the mission for the final speaker was to blow the budget and dispose of all the surplus funds built over the last couple of decades. 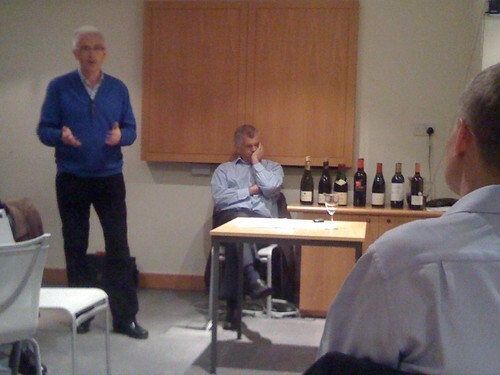 The presenter was Robin Lane (http://winesuppliersupport.co.uk/home.html) and his brief was "personal favourites" which, given that he has over 30 years experience in the wine trade, has got to be interesting. 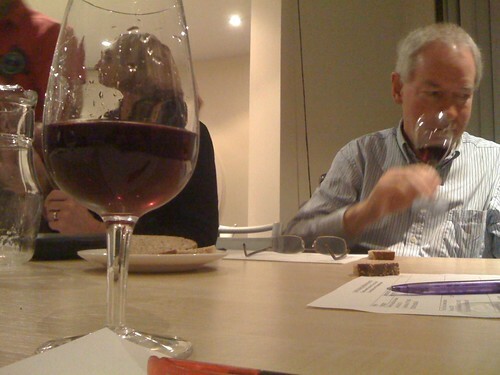 My favourite of the evening was the Franz K Smit 2005. Mary was not able to make it so our old friend Bron stepped in at the last moment - what a trooper! What makes a good wine tasting is not just the wines but the back story that goes with each of them; that we got from Robin. A fine farewell tasting.